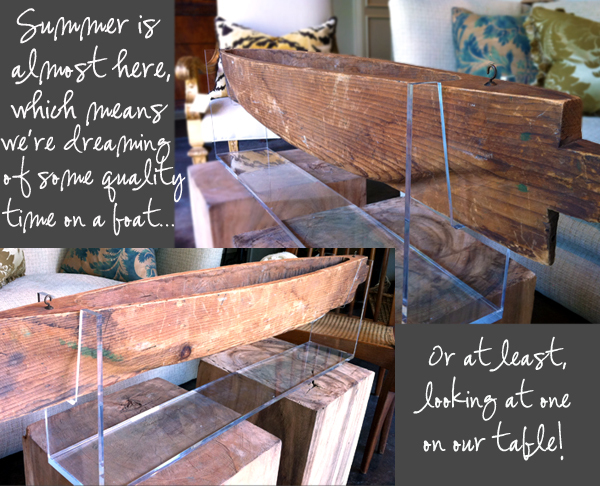 Our Featured Find for May is the Wooden Boat on Acrylic Stand. 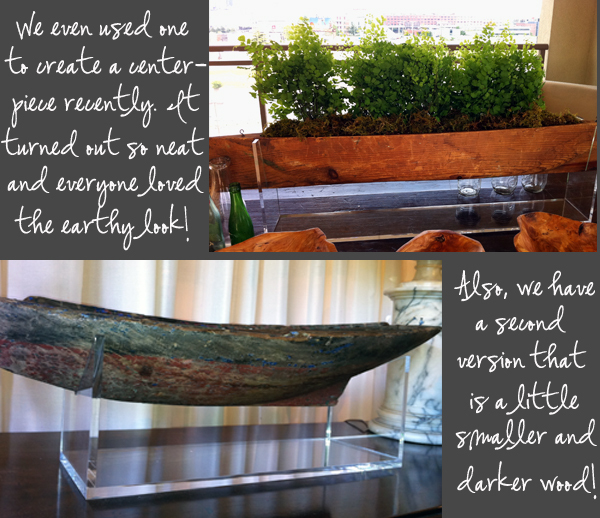 We love this piece and they are unique and can act as the perfect statement piece for any special place in your house. You can see the hand hewn sides that someone must have spent hours to perfect in the colored smaller version. We have added a clean lined acrylic base to each of them to add a more contemporary bent to these old jewels. We were looking for a creative centerpiece for a mens’ cookout and this piece served as the perfect solution. Maidenhair ferns were placed inside the boat base and then covered with moss. It was a hit! You know you’ve done something right when the guys are complimenting your design! We have a limited number of these boats in our showroom. The larger one retails at $760.00 (6″ x 47″), while the smaller one (8.5″ x 29.5″) is $840.00 including the stand for each. Come and see them for yourself!! Call the showroom at 615.297.9632 for any other questions!